Save Time, Space & Money with Flexy®! 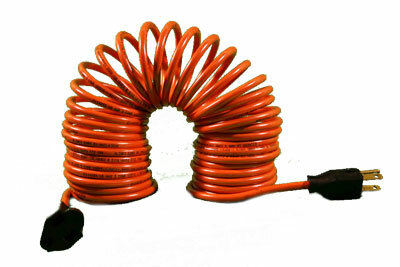 Flexy® extension cords store smaller and stretches farther! Saves you time! No more untangling, winding, and unwinding cords. Time is money! How much time are other cords costing you? Saves space! Neatly stores in drawers, tool box, & kitchen cups. No more messy tangled cords. Proudly Made in the USA! Get high quality while supporting jobs for Americans. Limited Quantities Are Available and is Moving Fast - - Order Now! Flexy® Extension Cord is the perfect and UNIQUE gift; not available or found anywhere else. Perfect Holiday Gift idea for the person or family on your list that has everything. A great gift for the Handyman, for the Photographer in your family, or for extension cord management. Flexy® is an ideal gift for the “hard to find the right gift” person. Super Savings Now as the Shopping season begins. Get your shopping done early, purchase Flexy, time saving, multi- usage, tangle free extension cord! Now from $25.80 on up.